We are all most 4-5 months away from the launch of iPhone 8 but the rumors and leaks are piling up with every passing day. A leak includes the pictures of the supposed moulds giving a glimpse into the possible design for the upcoming phones. Now a new video render has leaked of the iPhone 8 dummy, which gives a close look at the upcoming Smartphone. The video indicates the home button will be removed, and the dual rear camera on this is vertically stacked. The video was posted on Twitter and his YouTube account by Benjamin Geskin. The device shown in the videos show that it won’t have a home button and also gives a close look at how the device could look like from the sides. The rear camera set up is also seen, and this one is vertically stacked, which is incidentally what we also saw on the leaked moulds. As per the claim, the device is Apple most anticipated and awaited device iPhone 8. 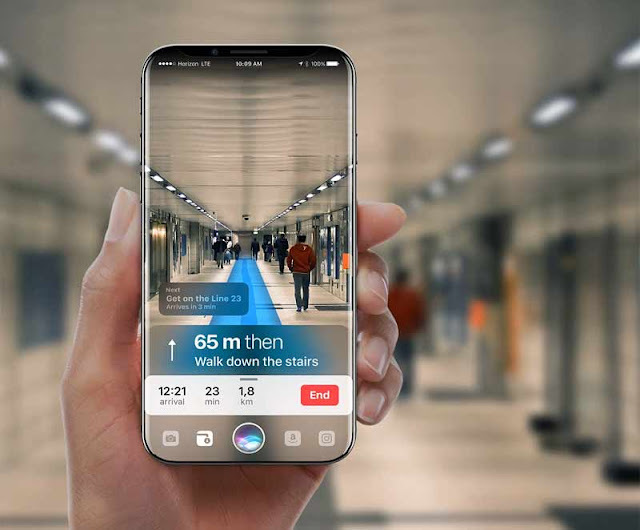 Before we make any mindset about the upcoming device we should not forget this is a ‘dummy’ iPhone 8 and the final device could look nothing like this render. However, there have been several reports saying the iPhone 8 won’t have a home button on the front. The reason for this: Apple iPhone 8 will have a near bezel-less display, which means the company will have to get rid of the home button on the front. Questions are also being raised about where the iPhone 8’s fingerprint sensor will be placed if the home button disappears. Some reports have said iPhone 8 will have the Touch ID scanner embedded under the display, but it remains to be seen how this will be implemented, giving reference to the video it seems that it is going under the screen, which will be great move from Apple as moving the fingerprint scanner to back will not be a great idea . Apple iPhone 8 will also sport an all-glass chassis, rather than the aluminum one we’ve seen in the series so far. Apple is also expected to introduce wireless charging and an OLED display with its anniversary edition iPhone. Some reports have pegged the iPhone 8 pricing at $870 going up all the way to $1000 for the 256GB version. Others have said, it could start at $1000 itself given an increased cost in components.